Scroll down for Cheap Flights to Vegas, and learn all about traveling to and within the state of Nevada. For cost-effective travel strategies anywhere in America, as well as top schools, work from home ideas, and more, see any of the links shown below. Or scroll down and see how easy it is to find cheap flights to Vegas (and beyond), enjoy low-cost Nevada accommodations, participate in local activities, attend annual events, and sample Authentic Regional Cuisine. It all happens here in Nevada. 1. The Name-Your Own-Price option on priceline.com can reduce your airfare by as much as 40 percent, and your hotel rates by 60 percent or more. 2. For lodging options in other parts of Nevada (such as cabins, trailers, hostels, private homes, and other alternative accommodations), scan craigslist for local sublets, vacation rentals, AirB&B deals, and housing swaps in your chosen area. 3. You can also save a few hundred dollars on Las Vegas vacation packages by booking your flight, hotel, and rental car all at the same time. 4. For even bigger savings, make your travel arrangements online, and do so at least two weeks ahead of time. 5. Travel during off-seasons, whenever possible (not holidays or weekends). 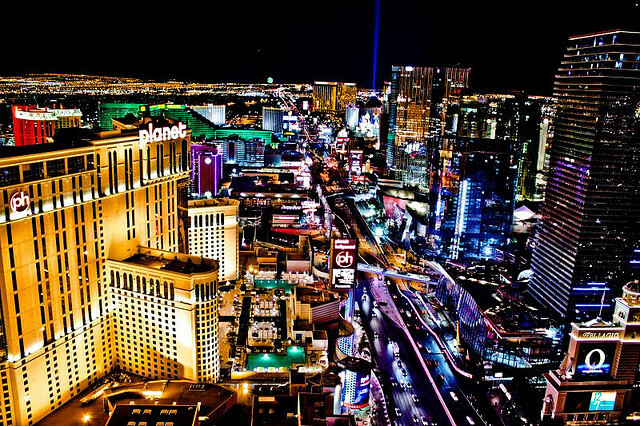 To get Cheap Flights to Vegas, simply visit Priceline and search your desired dates and destination. When you see a list of departures from your area, click the "Name Your Own Price" option. Doing this can save you up to 40 percent on your flight. Be aware that certain rules apply to naming your own price on Priceline. For example, no changes can be made to your itinerary, and no part of your payment can be refunded. Other restrictions may also apply. Major bus lines serving the state of Nevada include Greyhound and Trailways. Greyhound serves the cities of Elko, Las Vegas, Reno, and Winnemucca. For a Complete List of Greyhound Locations, visit the link shown below. The Nevada Trailways bus line is based in Las Vegas. 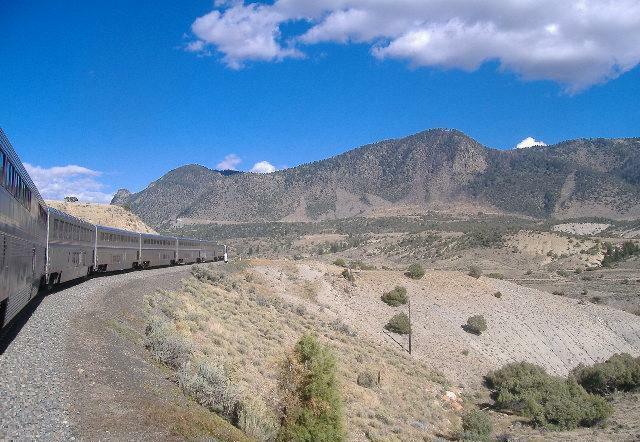 Nevada Amtrak Railroad Stations are located at Elko, Reno, and Winnemucca, with connecting bus service at Las Vegas, Laughlin, Sparks, and Stateline. Check Amtrak's website for schedules, maps, and other details. For a complete list of Amtrak stations, visit the link shown below. Other popular transportation options to and from Nevada's metro areas are Airport to Hotel shuttles, local taxi services, and rented or shared passenger vehicles. Probably the most cost-effective and easiest way to get around the cities of Las Vegas and Reno is public transportation. Here is a list of the top 10 things to do in the state of Nevada. Also included are locations and contact info for each destination. These Nevada attractions have been chosen by a panel of travel experts at USLearning.net for their cultural, educational, and entertainment value.